How did Cannabis Arrive in Africa? This scene is important for two reasons. 1. Cannabis isn’t native to Africa – and yet, these tribes that were focused on living life on a day-to-day basis, getting almost everything they required from their immediate environment, didn’t just use marijuana but also cultivated it. 2. The name they used for it was bangue, which sounds almost like “bhang” – the common Indian name for Cannabis! Another interesting find that tells us about Africa’s historical connection with cannabis are the Ethiopian smoking-pipes. Archaeologists have found two ceramic smoking-pipe bowls containing traces of cannabis, in Ethiopia – a country situated near the horn of Africa. These artifacts date to the fourteenth century, and they are possibly the earliest evidence of cannabis smoking in Africa. All these facts raise an interesting question. How did Cannabis, which wasn’t a native African plant, arrive in Africa? There are many possible answers to this question – three of which occur readily to me. 1. It’s highly probable that cannabis was brought into Africa around 1300 AD – by either the Arab Merchants or by the Chinese traders, or by both. The term “bangue” or “bang” (in Swahili) indicates an Indian connection, which of course, tilts the scales in favor of the Arab Merchants having brought it into the African continent. 2. 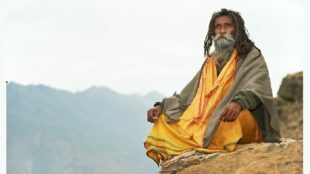 Around 1300s, the Sufi saints (the nomadic breakaway group of Islam that had already been using cannabis for almost 200 years,) had also begun journeying into the Mediterranean, the Egypt, and the African East Coast. They, along with the Arab merchants could’ve possibly brought cannabis to Africa. 3. Ancient Egypt boasts of a very long association with cannabis. About four thousand years ago the Egyptians were already enjoying the benefits of Marijuana. Upper Egypt that spread through today’s Sudan, could possibly be held responsible for the two smoking-pipe bowls that were discovered in Ethiopia, which shares its northern border with Sudan. It’s possible that the spread of Marijuana began in Africa through Ethiopia, and that it began a lot earlier – perhaps during the time of the New Kingdom? While all of the above sound plausible, we cannot be sure. What we definitely know for a fact is that when Europeans turned their attention to Africa, the natives of the South-Eastern Africa were not only cultivating and consuming cannabis but also affectionately referring to it as bangue. 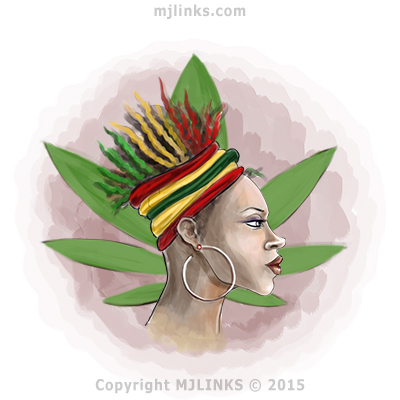 The Historical Use of Cannabis in Africa – Was it only Recreational? In Africa, cannabis use wasn’t restricted to recreational – they used it for medicinal and spiritual purposes too. Medicinally, it was used against diseases such as Malaria and also as an anesthetic.